With the emergence of EMR/EHR, technology is being used in Senior Living organizations now more than ever. 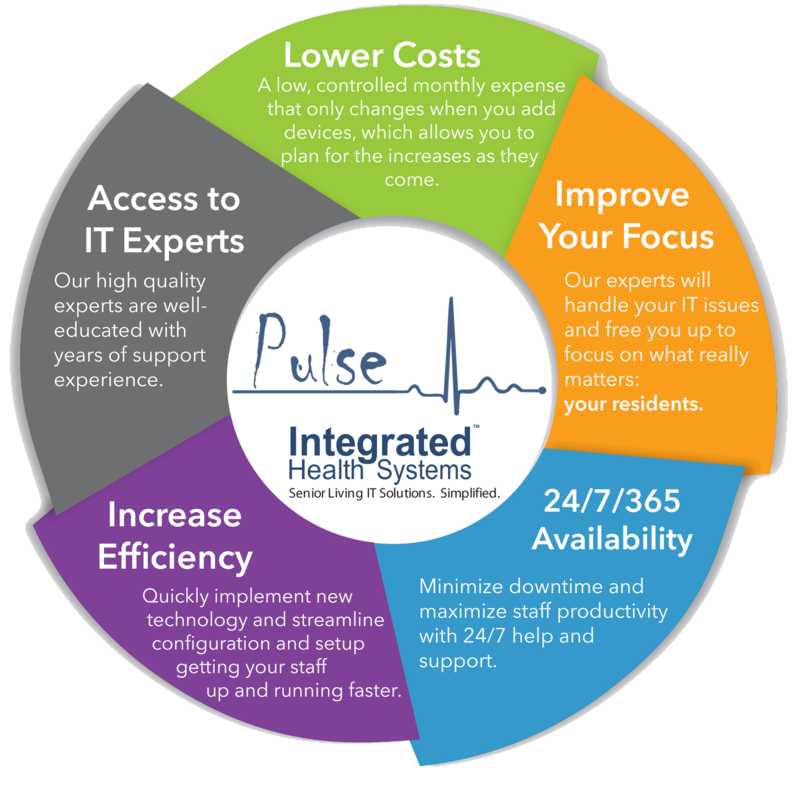 Pulse™ allows facilities to transition from expensive, slow-response IT support to a remotely managed, quick-response solution designed specifically for Senior Living. 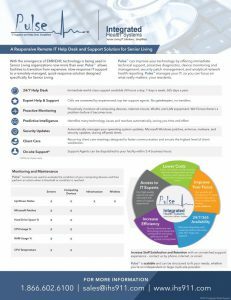 Pulse™ improves your technology by offering immediate technical support, proactive diagnostics, device monitoring and management, security patch management, and analytical network health reporting. Pulse™ manages your technology, so you can focus on what really matters: your residents. Struggling to manage your technology? Contact us to get started with Pulse™ Help Desk & IT Support today! Click below for more information about Pulse™!